Please click on the ticket button below to access our main ticket purchasing page. Once on this page, you may select the ticket level you wish to purchase. Detailed information about various sponsorship and ticketing levels below - this information is also listed on the purchasing page. 10-tickets for pre-performance reception & cabaret (performance and dessert), gold-bordered ad-book page, reserved parking and preferred seating. 6-tickets for pre-performance reception & cabaret (performance and dessert), gold bordered ad-book page, reserved parking, & preferred seating. 4-tickets for pre-performance reception & cabaret (performance and dessert) , silver bordered ad-book page, reserved parking, preferred seating. Director: $1000 3-tickets for pre-performance reception & cabaret (performance and dessert), ad page, reserved parking, preferred seating. 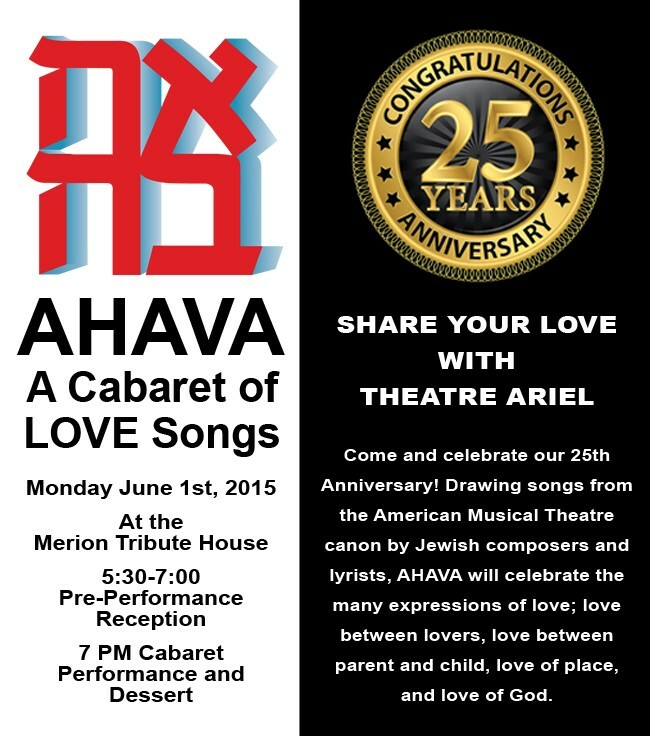 Purchase your tickets to AHAVA today! 2-tickets for pre-performance reception & cabaret (performance and dessert), reserved parking, preferred seating. 2-tickets for pre-performance reception & cabaret (performance and dessert), preferred seating. 1-ticket for pre-performance reception & cabaret (performance and dessert), preferred seating.